When companies say their computers have a GPU so apps can "really fly," they usually just mean they'll run quickly. 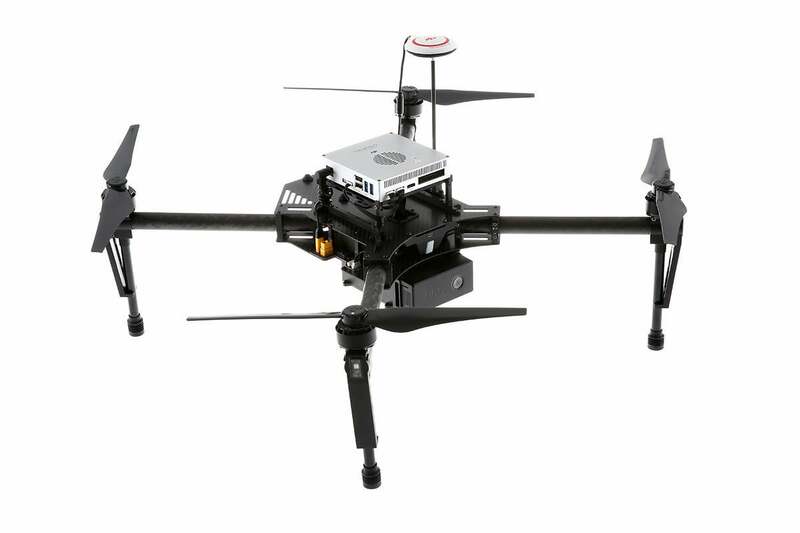 With the Manifold, an 11 centimeter-square package containing an Nvidia Tegra K1 processor and a host of ports, DJI wants you to take it literally. DJI is known for its drones, not its desktops, so it's no surprise that it intends the Manifold for higher things. The US$499 computer weighs about 200 grams, and is designed to clip on top of the company's Matrice 100, a $3,299 quad-coptor with a 1-kilogram payload. While DJI sells ready-to-use drones such as the Phantom 3, with its "Developer" products such as the Manifold and Matrice 100 it is looking to promote the creation of sophisticated in-flight image-processing apps. Compared to streaming HD imagery over Wi-fi for processing by a computer on the ground, in-flight processing will allow for much lower latency -- broadly, the delay between input and output -- and greater autonomy if contact is lost with the ground. Some aspects of the Manifold recall mini PCs such as Intel's NUC (Next Unit of Computing): 2GB of RAM, 16GB of storage, an SD-card slot and connectors for four USB ports, HDMI out, Ethernet and audio. However, in place of the NUC's Arm processor, the Manifold has a 2.2GHz Nvidia Tegra K1 quad-core Arm chip with 192 GPU cores. It also has dedicated ports for camera in and out, two direct connectors to UARTS (universal asynchronous receiver-transmitters) and a chunky input-output expansion header giving access to SPI (serial peripheral interface) and I2C (inter-integrated circuit) control lines that will be familiar to anyone who has tried to wire up sensors to a microcontroller-based device like the Arduino. The Manifold runs Ubuntu 14.04, a version of the Linux OS with long-term support. Canonical typically expects Ubuntu users to upgrade to a new version after nine months or so, but LTS versions receive maintenance and security updates for five years. It includes support for Nvidia's CUDA (Compute Unified Device Architecture), an API for running massively parallel code on GPUs, and also for ROS (Robot Operating System), a framework for writing robot software now maintained by the Open Source Robotics Foundation. There are already drone control apps available for download to smartphones through the Apple iTunes Store and Google Play, but if this kind of autonomous airborne computing platform really takes off, perhaps we'll also see the introduction of a SkyMall-like store for inflight apps, able to perform tasks for us without intervention from the ground.